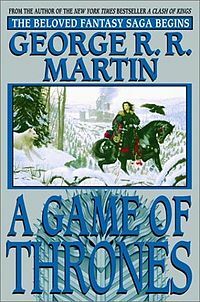 Tom lent me the Game of Thrones to read recently. I enjoyed it thoroughly but I couldn’t help but think that – if you take away the thin veneer of magic and fantasy – it reads a lot like the history of my country. And how much more fantastic to read a true story? I’ve had Hume’s History of England in three volumes on my iPad for a while (it’s free in iBooks) and I ploughed through Volume I in no time flat. Every English schoolboy knows that history began in 1066 but my knowledge of what came before was very shaky. 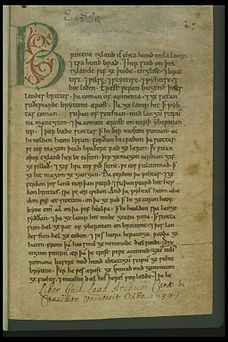 I knew some names -Ældward the Confessor,Ælthelred the Unready, Ælfr?d the Great and a whole bunch of other kings beginning with Æ – but I was a bit shaky on the dates and the sequence of events. In my memory, the shame of the Danelaw went on for centuries and I was pleasantly surprised to learn that it was only for one king and one generation. I was also surprised that Alfred was much later (and greater) than I remembered. Really, after reading the history of the Saxon times, I wonder why there is any need to make up fantasy stories. There are at least 10 kings of that era that could have an epic movie of their own. Why are we all so fixated on Robin Hood and King Arthur when the true stories are so much more dramatic? Where are the movies about those forgotten heroes? I’m loving Hume too. I had previously read Churchill’s History of the English Speaking Peoples (twice) and Hume shares with Churchill the endearing habit of making little pretence of objectivity. There are good guys and bad guys and Hume makes sure you know which is which. He even pulls off the neat trick of turning the Saxons from “them” – when the likes of Arthur are valiantly but tragically failing to keep them out – into “us” when we cheer on King Alfred’s miraculous victories. I’ve often wondered about the them versus us thing in the context of Australia and the US. They talk of the first Australian explorers who made it to the red centre but those Australians quickly become British when Tasmanians are being hunted down and massacred. It’s odd when Australians and Americans do it and it was odd to witness the same phenomenon in myself. Clearly, I identify with the Britons trying so desperately to fight off the Saxon horde but just a couple of hundred years later and we (the Saxons) are fighting off a new set of invaders. Funny how the Normans never became “us”. Late last night I reached the Norman invasion and put my iPad down so that I could read it fresh today. The story was exactly as I remembered from Mrs Harris’s history class in 1977. The same charges. The same feints. The same tragic ending. It was a close run thing in Hume’s telling of the story. Odd too that I rooted for neither side. Harold got to where he was through treachery but he was, after all, one of us. William brought civilization to my country but it was a foreign civilization. I guess it’s best that he won but his victory feels like a defeat to me. I leave you with Hume’s recounting of the end of the Saxon era while I move on to Volume II and the Normans and Plantagenets that I remember so well from school. 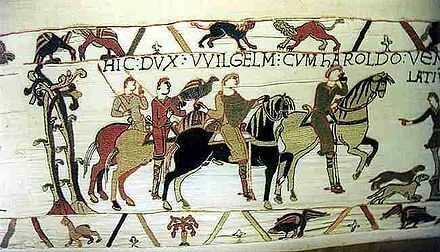 Thus was gained by William, duke of Normandy, the great and decisive victory of Hastings, after a battle which was fought from morning till sunset, and which seemed worthy, by the heroic valor displayed by both armies and by both commanders, to decide the fate of a mighty kingdom. William had three horses killed under him; and there fell near fifteen thousand men on the side of the Normans: the loss was still more considerable on that of the vanquished, besides the death of the king and his two brothers. The dead body of Harold was brought to William, and was generously restored without ransom to his mother. Now that I have read about the brutality of William’s reign, I regret my former ambivalence and place myself firmly in Harold’s camp. Civilization, be damned.